Environmental Planning & Management, (EPM) Inc., a New York State Certified Woman Owned Business and certified Disadvantaged Business Enterprise founded in 1988, is an environmental consulting firm specializing in hazardous materials assessment, design and abatement oversight. 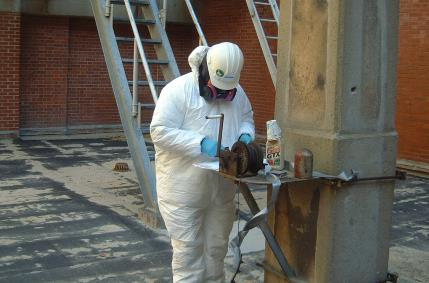 To date, EPM has completed over 3000 projects, including asbestos/lead survey/ remediation design/ abatement monitoring projects, soil and groundwater investigation/remediation design/ remediation oversight, Phase I environmental assessments, Phase II detailed environmental assessments, and underground storage tank management projects. Our staff is composed of over 50 environmental engineers, scientists, technicians and support staff that provide a comprehensive approach to solving environmental problems and assessing environmental risks. Staff members are Certified New York State Department of Labor (NYSDOL) Inspectors, Project Monitors, and Project Designers; and New York City Department of Environmental Protection (NYCDEP) Asbestos Investigators. EPM staff is also trained as Lead Inspectors, Competent Persons (SSPC-C3 or C-5), and in visible emissions monitoring. EPM maintains a valid Asbestos Handlers License, an Occupation Safety and Health Administration (OSHA) Compliant Respiratory Protection Program; and $11,000,000 of professional and pollution liability insurance. EPM has received numerous contract awards as sub consultants to various architectural/ engineering firms; several as the prime consultant. Staff members assigned to each project receive all requisite training required by our client agencies. We are invariably responsive to immediate client requests for information and emergency calls for personnel, which has earned us a reputation for responsiveness, consistency and reliability.